The watch features a simple yet stylish silver and black finish with a genuine leather black strap. The face of the watch features high visibility hour numerals and three sub-dials, plus a date function. 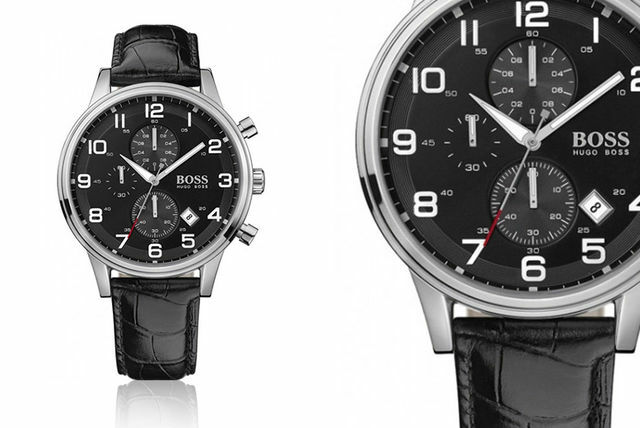 Watch time go by in serious style with a Hugo Boss designer men’s watch. With a simple yet stylish genuine leather black strap. With high visibility hour numeral dials. Stylish black and silver finish. The perfect gift for a suave gentleman, or a cheeky treat for yourself!